We implement tailored media outreach programs that target investors which enables us to feature clients on an international stage. 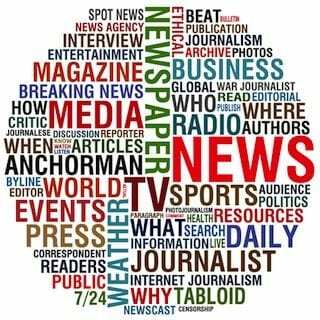 Increased media coverage and visibility of products and business operations results in increased credibility. There’s a reason your inbox always seems jam-packed: e-mail marketing to target investors works. If you’re wondering why marketers seem intent on e-mailing you more and more, there’s a simple explanation: it works. E-mail remains a significantly more effective way to target investors than social media—nearly 40 times that of Facebook and Twitter combined. That’s because over 90 percent of all US consumers still use e-mail daily. OTC PR Group helps to build your business and the awareness around it using our knowledge of Internet marketing and direct response email. We can help create and send highly personalized one-to-one email communications to subscribers and customers to build better relationships that result in increased awareness, shareholder and business growth. OTC PR Group knows that just sending out a press release is not enough to ensure success with your investor relation plan. Our targeted approach will help you to identify the proper techniques to find, and use all available resources to develop the right message for your investor outreach efforts. We professionally manage every step for you. Our email marketing services include the planning and development stages of your email message, the execution and deployment of your campaign, managing deliverability, the tracking and analysis of your results. We Target Investors with Media Outreach Programs that provide solutions for your needs based on your company profile and marketing goals. Through our in-house email lists and outsourced brokers we can produce highly targeted marketing programs. We will be able to logically explain to you all of the critical mechanisms required to create, launch and monitor the results of an effective Internet marketing plan. Helping you to plan and implement a successful direct marketing strategy is the goal of our Promotion Services. We stand ready to be your partner in a cost effective, high tech system that will produce measurable marketing results quickly. Our successful email marketing campaigns consist of sequenced mailings over a period of time. It also includes split testing, creative design, additional opt-ins and results. We work hard to develop a control mailing so that there is something to test against. By adding and removing parts of the control we can fine tune the campaign and its content to produce a maximum return for each and every mailing.